← Need baking lavender, fig vinegar, or asafoetida? Call me. Have you created a list of things you want to accomplish before you die, a so-called bucket list? I haven’t. At this point in my life, a bucket list would seem like an extension of the “things to do” lists I created daily while working. Complete a small project? Check. Return a call to an angry parent? Check. Visit Paris? Check. Two articles I read this week inspired me write about this topic. One was an opinion piece in the Seattle Times (May 13, 2016) called “The case against bucket lists.” Mountaineering guide Kel Rossiter sees a lot of people who want to check, “Climb Mt. 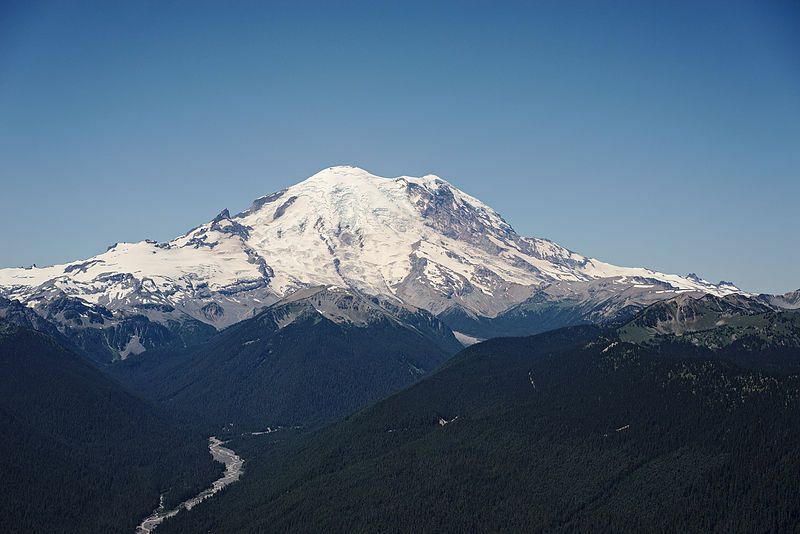 Rainier,” off their lists, and many of them are young. He argues that bucket lists were originally for the dying and often involved “putting things right,” such as making peace with an estranged family member. Now, he believes achieving the goals on one’s bucket list is more to gain cocktail party bragging rights than settle any unsettled aspect of one’s life. Google “bucket list favorites” and you’ll find bucket list travel spots; lists of things to do during the spring; a list of food to eat at Disneyland; a must-visit coffee shop list; a golf course list; and one person’s wish to play a string instrument, a brass instrument, the accordion and the piano, while also mastering conversational Spanish, surfing, a martial art and juggling. And those were the blogger’s small goals. It looks like his last post came in 2014, which makes sense because some of the other goals, such as getting a song and novel published while writing a television script, and designing several theme parks, take time. Just reading the page of lists took time. The other related article came from the Time Goes By blog. The writer names — here goes another list — psychotherapist Carl Jung‘s Seven Tasks of Aging. Among these are: “life review, letting go of ego, and determining the meaning of one’s life.” The items on this list seem more helpful at a certain stage in life than, say, try bungee jumping or other heart-stopping adventures. My conclusion? The items on a twenty-something’s list may have no resemblance to those on the list of an eighty-year-old. And some people’s lists just sound like a lot of work. If I had a list, I’d add a few travel destinations, a publishing contract and habits that lead to good health. But those are in my head and I don’t need to write them down. After hearing about how much time authors spend in marketing and promotion (the things that publishers used to do), I’m not sure I would be crushed if my book didn’t find a publisher. My biggest regret would be if I neglected my health and died prematurely. For people of all ages, it’s never too late to reflect on where we’ve been, where we’re going, and what we’d like to be remembered for. Making a decision on the latter will help put our bucket lists into perspective. This entry was posted in aging, current events/themes, personal reflections and tagged bucket lists. Bookmark the permalink. I’m new here, but enjoying this blog. Glad to see you are interested in herbs. Do you have a garden? Nice to hear from you. I used to have an herb garden, and still love wandering through the University of Washington’s medicinal herb garden. A friend gave me a gift of what look like pretty rocks, but supposedly are herbs. I’m looking for a place to plant them after the weather gets a bit warmer. We have a garden of shrubs, flowers, strawberries, blueberries and rhubarb, but no vegetables. How about you? My brother in law asked me the last time we visited what was on my bucket list. I was startled. I don’t have a list. He kept pushing for some response so I finally said I’d like to take the grandsons to Hawaii sometime. He said that that would not count as an item for a bucket list. He suggested travel destinations or some such. Of course there are places I’d like to visit, but only with Mas and he would want to go, too. It turns out that a bucket list is a self-centered wish to accomplish something for myself. And I’m not ready for such a list. I would rather be happy with my family and friends and do and be with them. Is that asking too much? Like the op ed columnist said, for a lot of people, completing a bucket list goal is mainly for cocktail party fodder.